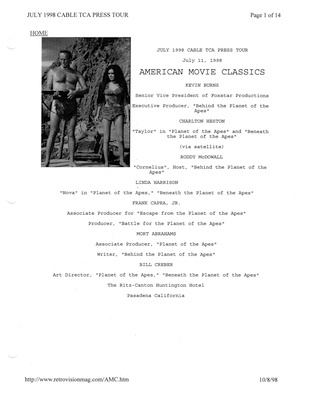 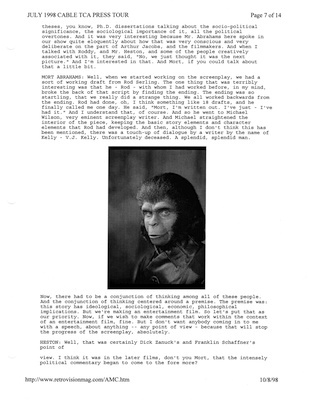 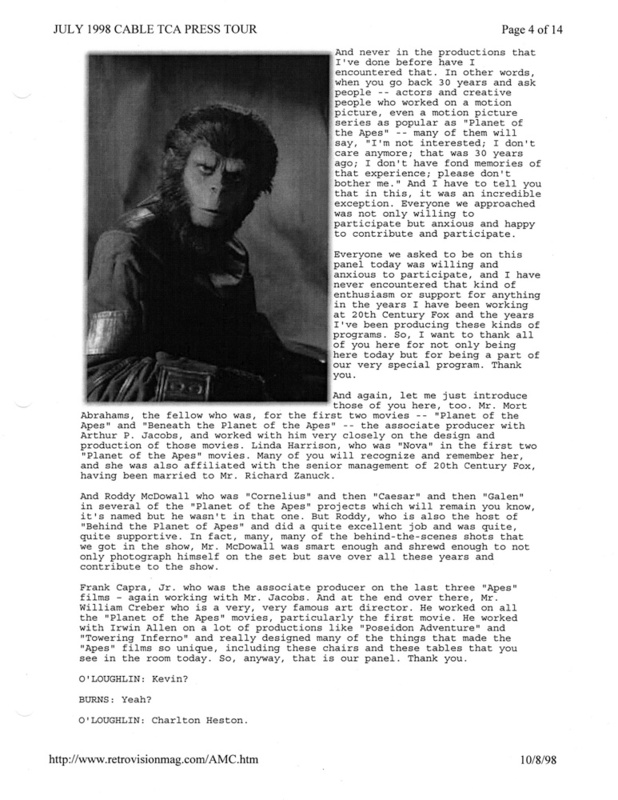 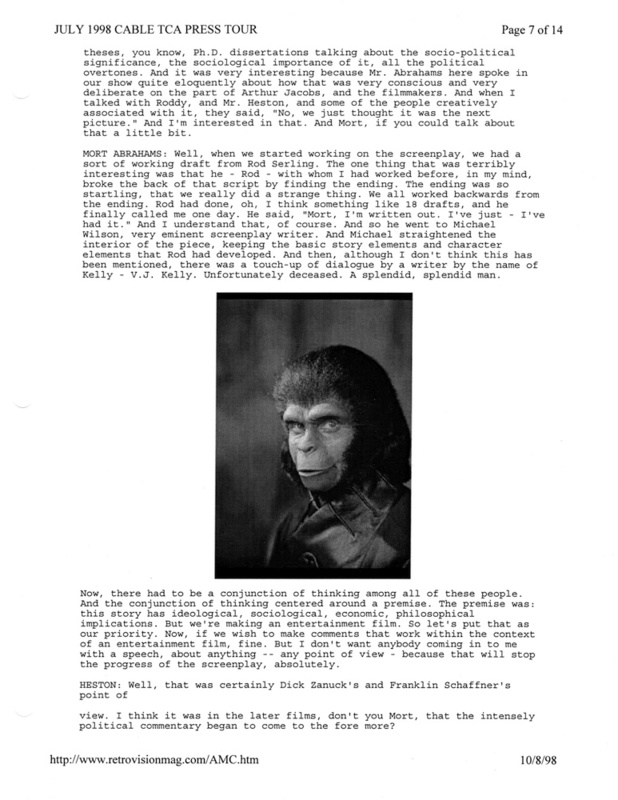 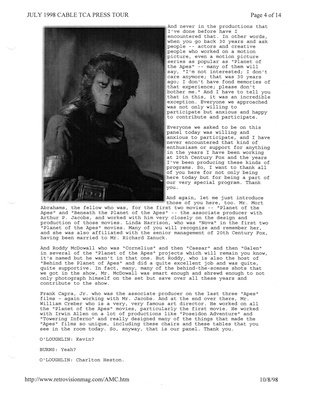 On July 11, 1998, as part of its celebration of the 30th anniversary of Planet of the Apes, TV network AMC held a press event that included Kevin Burns, Charlton Heston, Roddy McDowall, Linda Harrison, Frank Capra, Jr, Bill Creber, and Mort Abrahams. 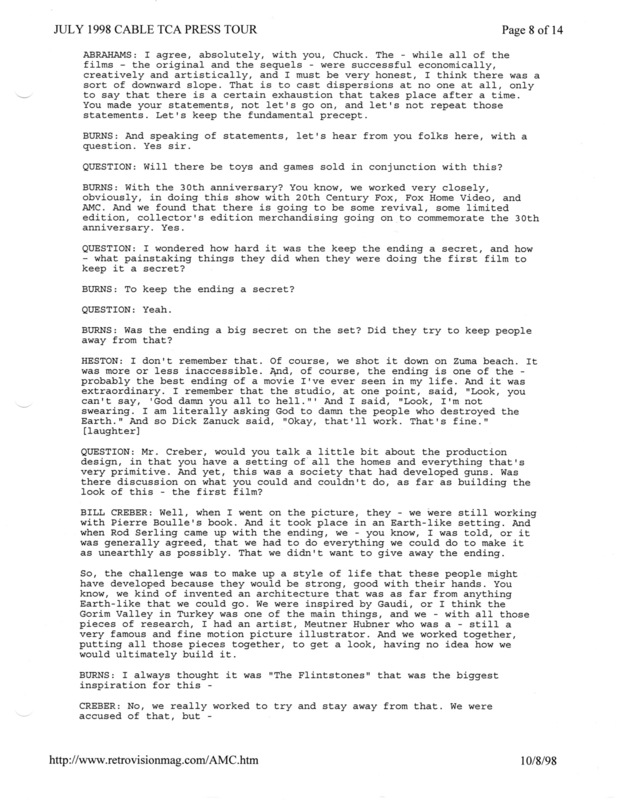 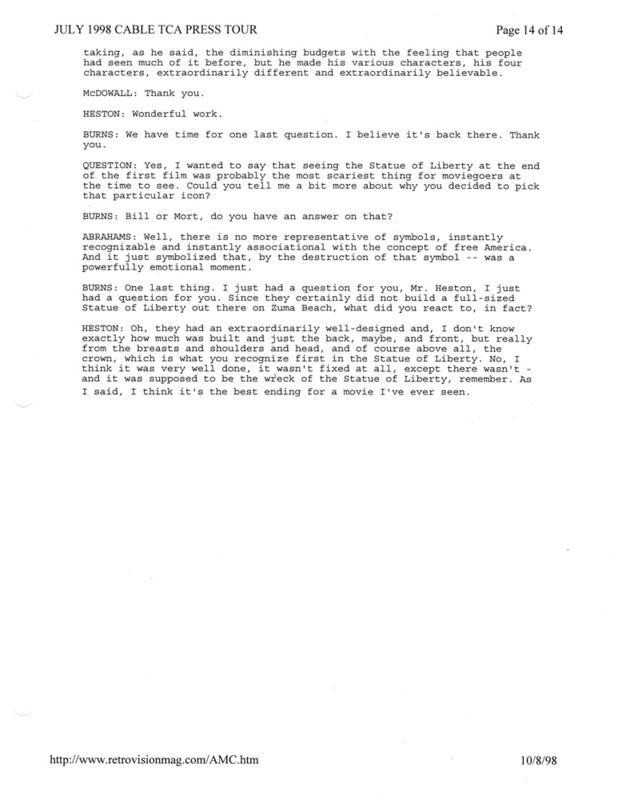 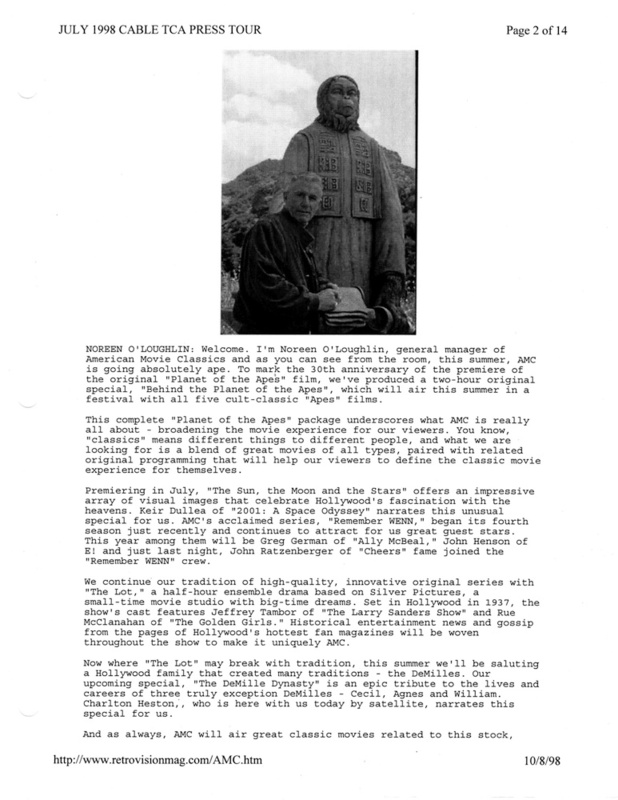 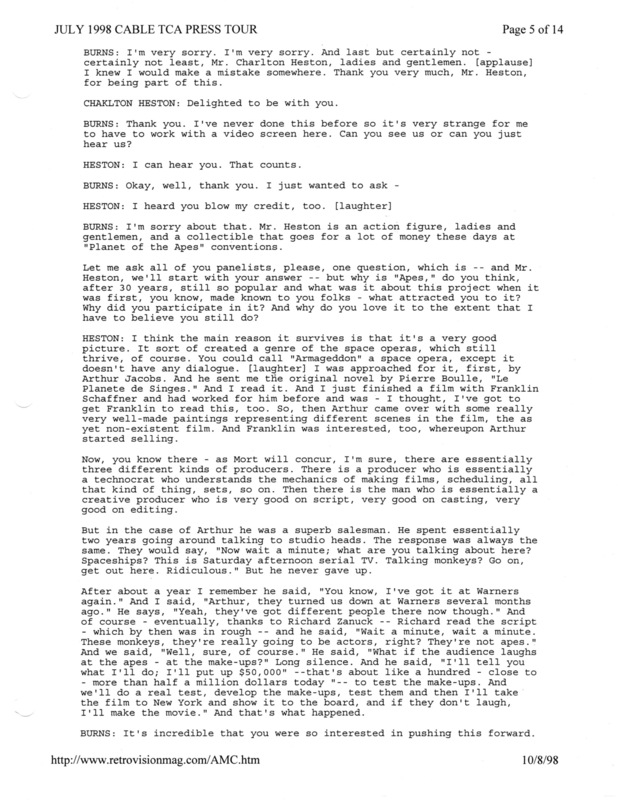 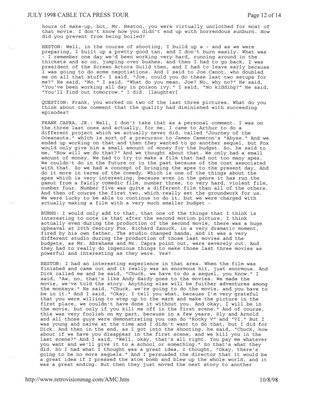 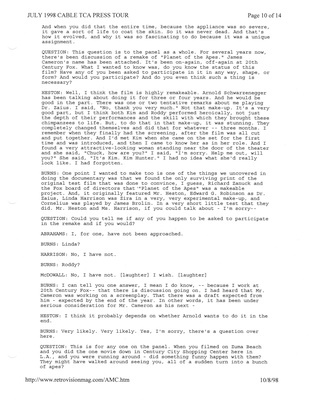 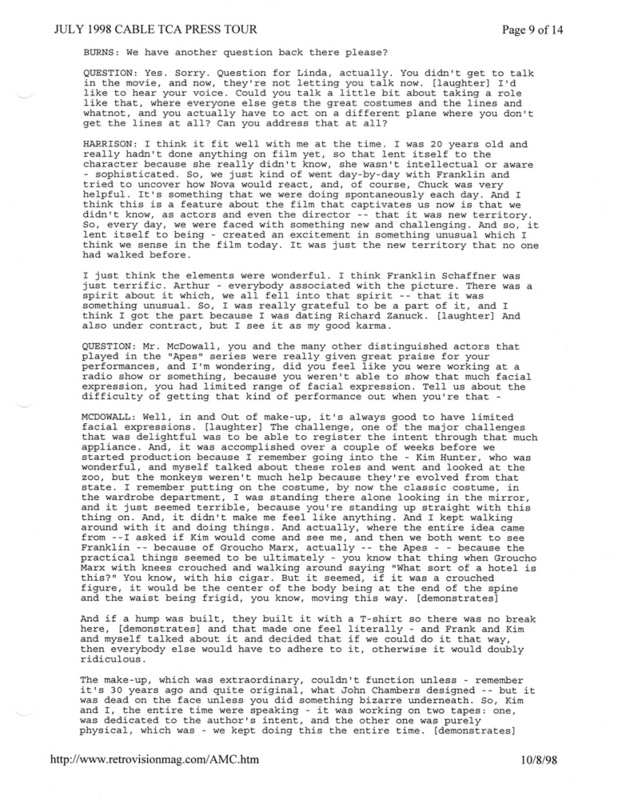 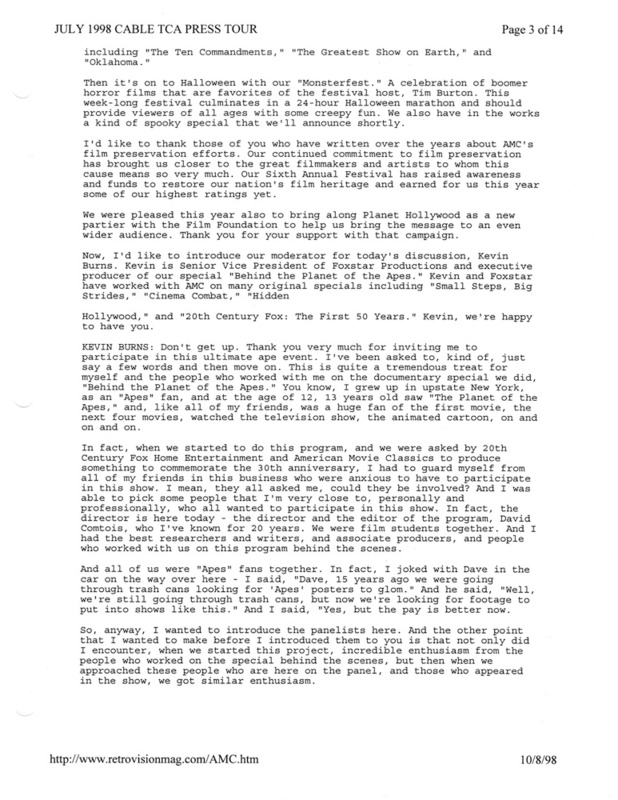 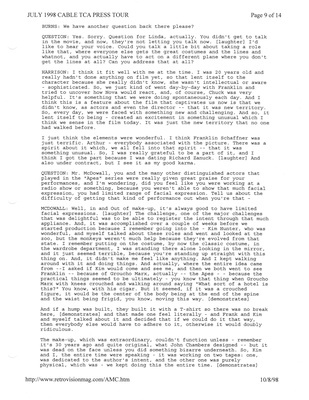 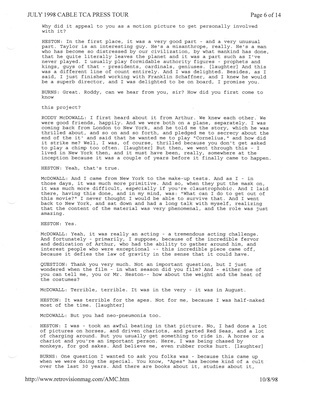 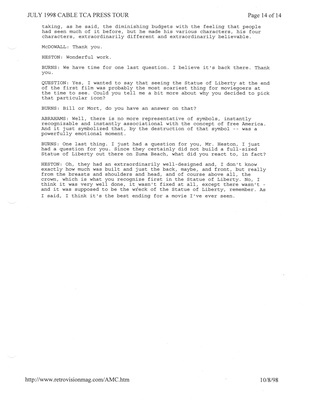 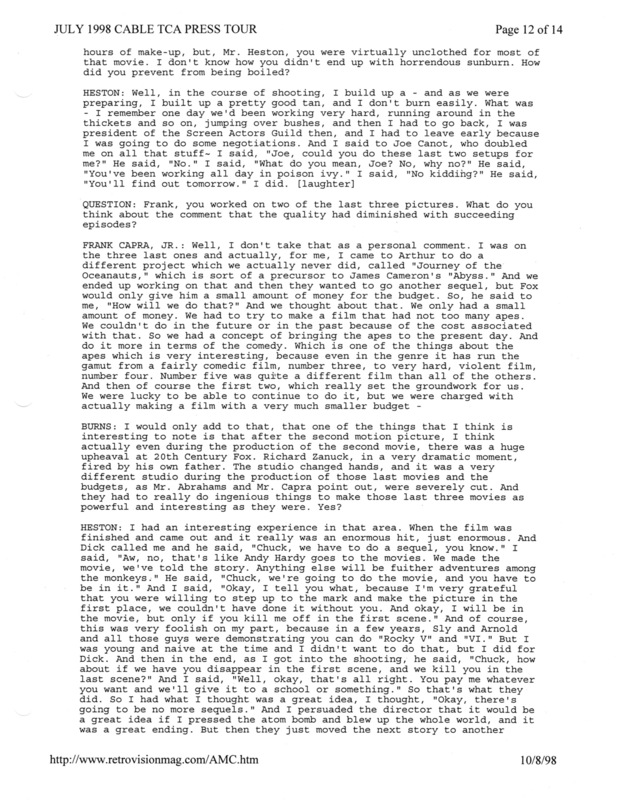 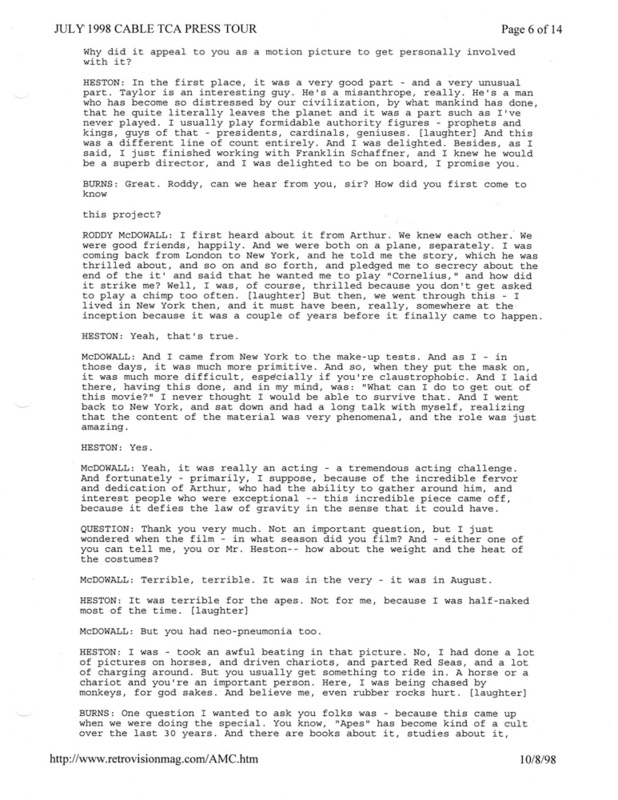 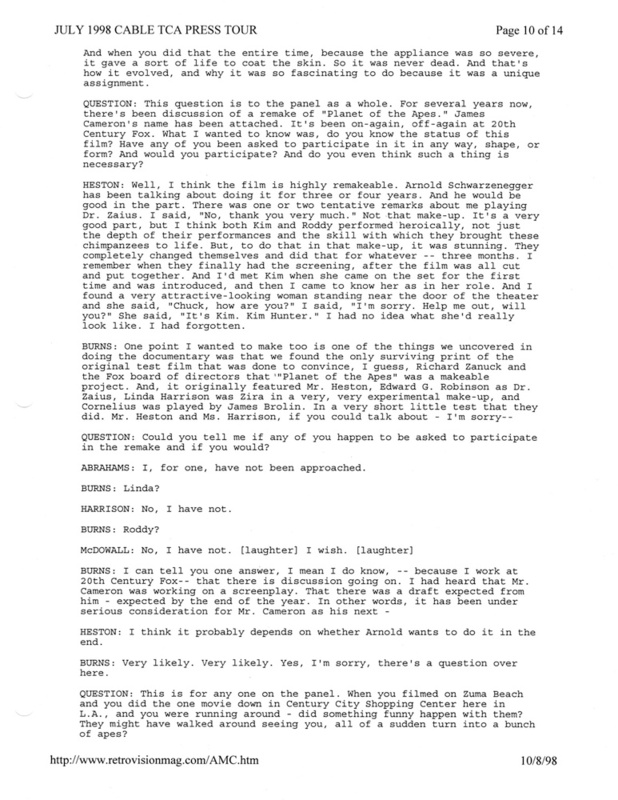 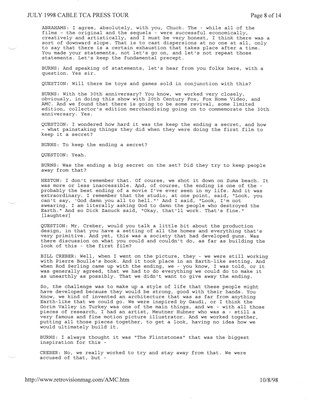 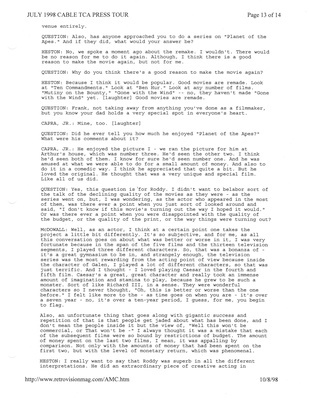 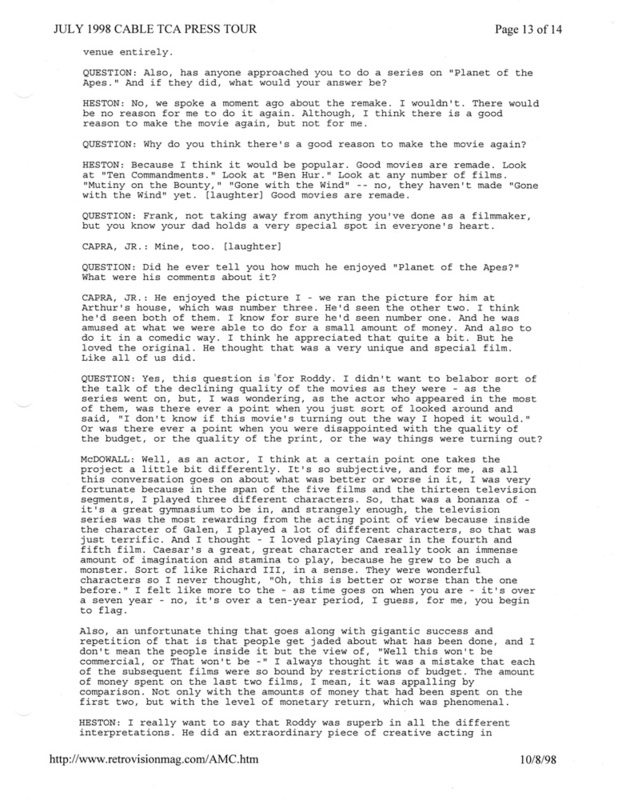 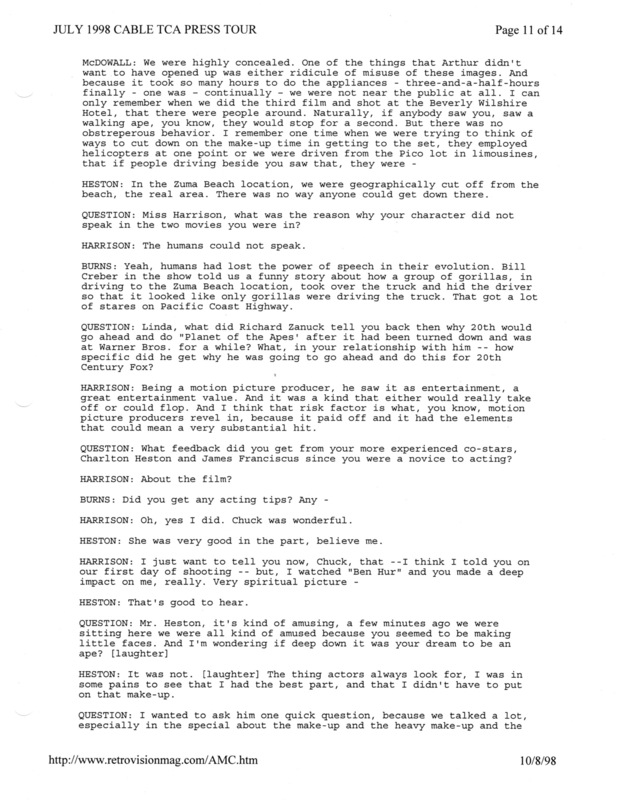 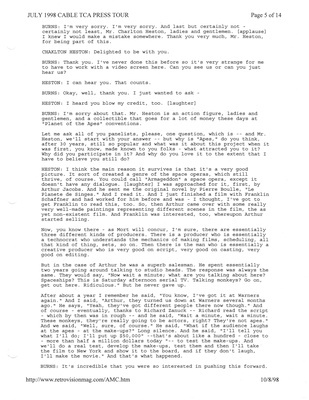 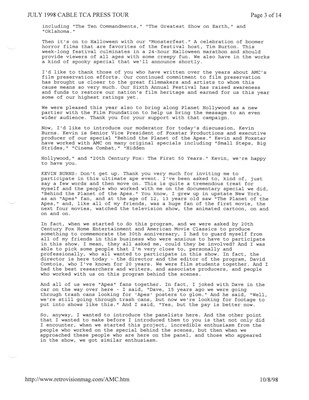 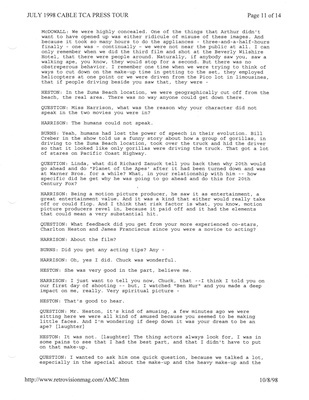 Retro Vision posted a transcript of the event on their now-defunct website. 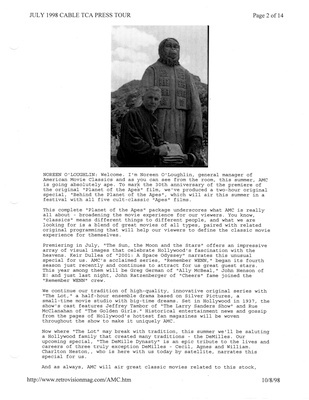 Thanks to Lori, captures of the web pages are presented below.